Let’s hear your voice on The Classic Rock Show ‘Birthday Bash’!! As you may already be aware, The Classic Rock Show will be celebrating its 4th Birthday on 14th November 2013. Dawn (from The Friday Rock Night on Felixstowe Radio), one of my longest serving listeners, and my broadcast buddy, Bex from ‘Bex Rocks‘ will be joining me at some point during the evening. They’ll be sharing stories and a joke or two along the way, but what I’m really keen to hear is your voice on-air too. 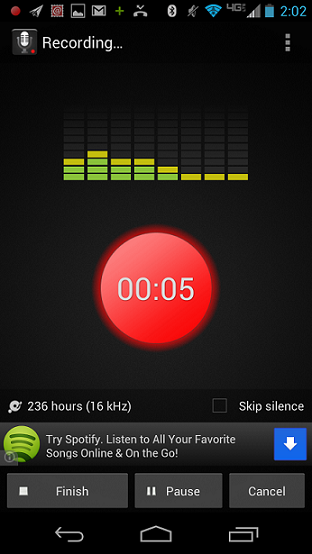 If you have a smartphone, there are free apps available for download that can record your voice. In 10secs or less, tell us why it is you listen to The Classic Rock Show. If you also fancy recording a Birthday message as well, feel free. I’ll edit them up ready for broadcast during the Birthday Bash show. Send them over to me in mp3 format via a Facebook PM to my personal account, or message via The Classic Rock Show Facebook Page.